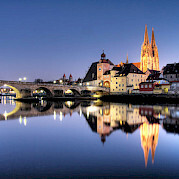 The enchanting bike tour begins in the medieval city of Regensburg, a city with a history of over 2000 years. 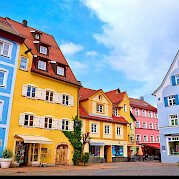 Unlike many other German towns, this one had little damage from the Allied air raid in World War II, and therefore has a nearly intact medieval city center. 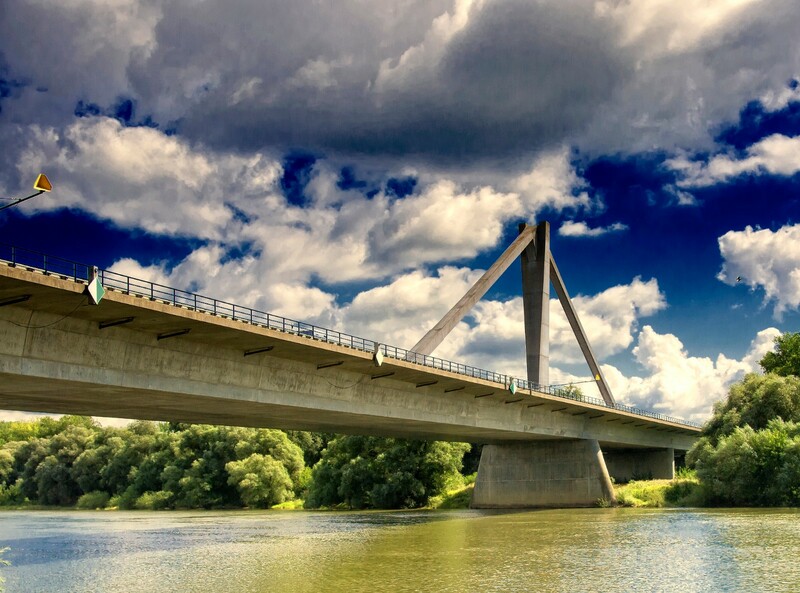 Along the banks of the Danube you will bike to Straubing which is known for its festivals such as Gäubodenvolksfest, the second largest folk festival in Bavaria, Germany next to Oktoberfest. 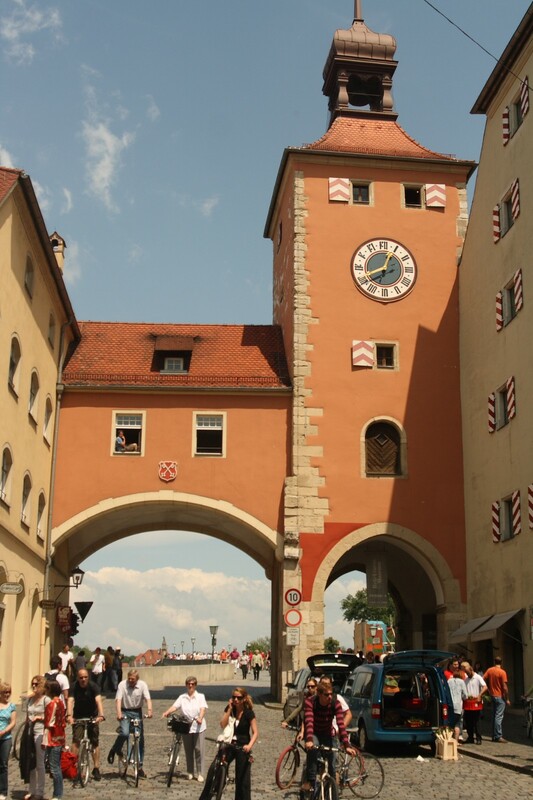 Straubing is also famous for the Jazz Festival, which has attracted guests such as Seal and Aretha Franklin. 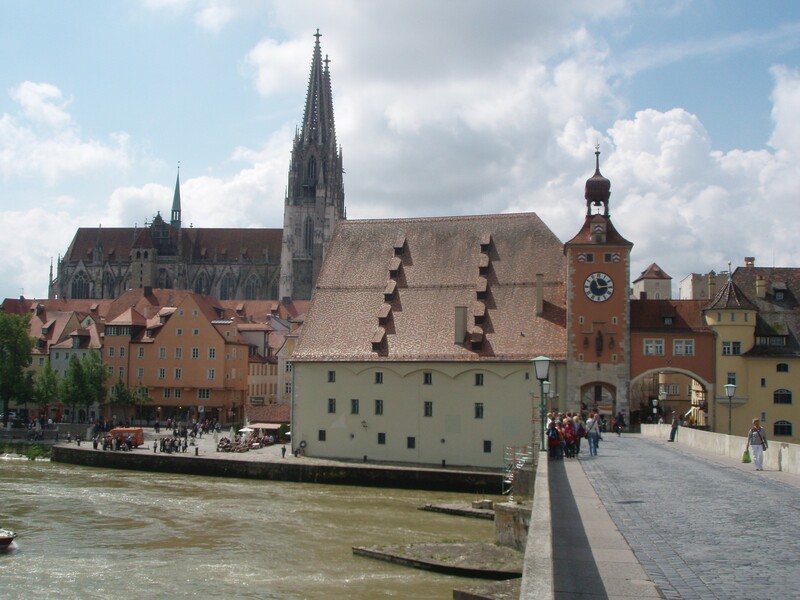 Continuing along the Danube you will visit towns such has Mettin and Deggendorf. 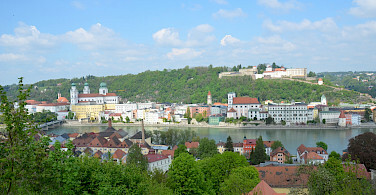 After an overnight in Deggendorf you pedal on to Passau. 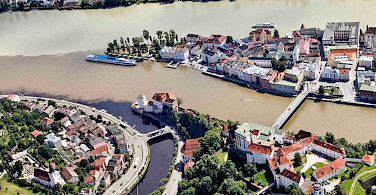 Passau is known as the City of Three Rivers because it is here that the Danube, Inn and Ilz River converge. 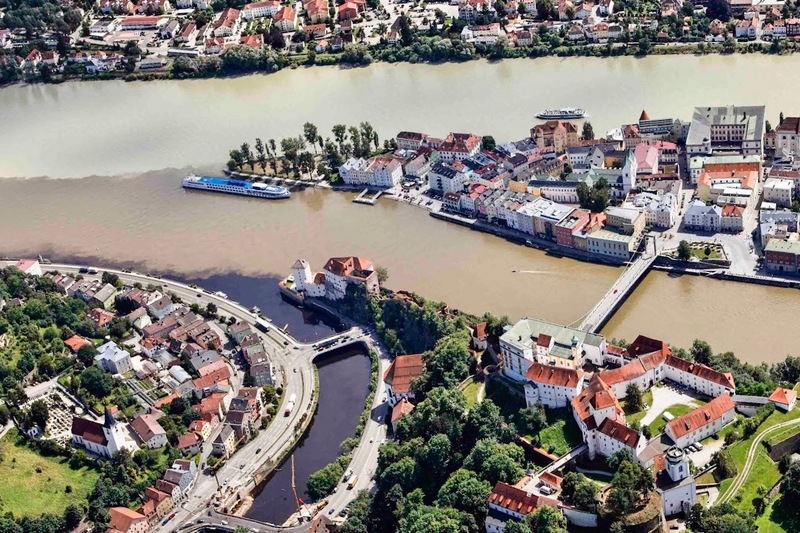 This lively port town is a marvel to see in its romantic river setting complete with the great Veste Oberhaus (a fortress built 13th–16th century that overlooks the town). 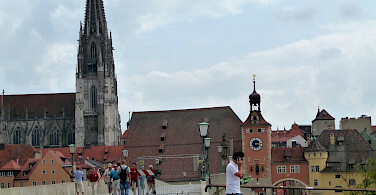 Want to see more bike tours in Germany or all of our Danube bike tours? 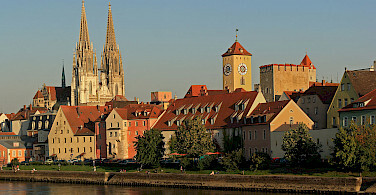 Take the train to Regensburg (90 mins) and then a short walk or taxi ride to your first hotel. 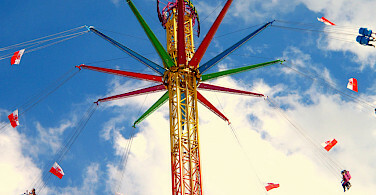 Check local conditions prior to departure. 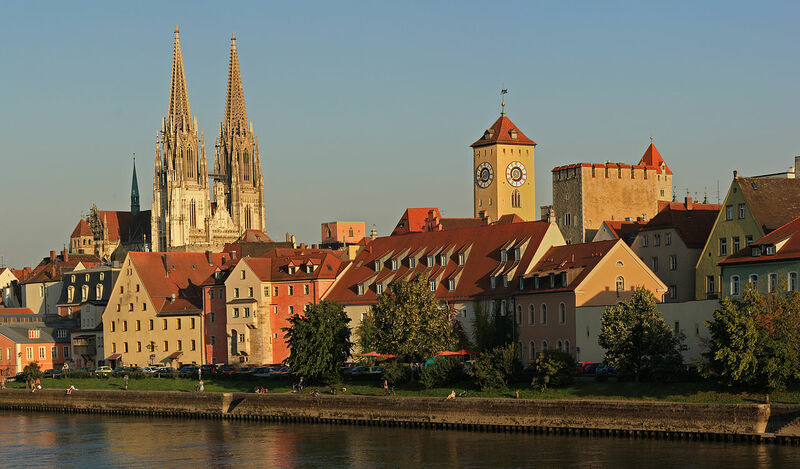 Average high/low temperature in °F for Regensburg is: 54/36° for April, 64/45° May, 69/51° June, 73/54° July, 73/53° August, 66/47° September, & 55/40° for October. An extra night before and after the tour! 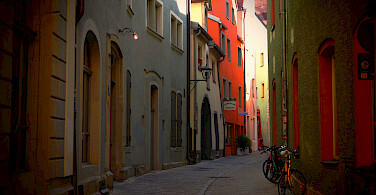 In very nice, comfortable 3 to 4-star hotels and B&Bs. 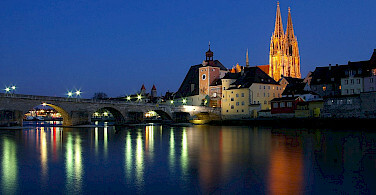 Extra nights possible in Regensburg and Passau. This is an easy, self-guided hotel tour. The route is almost completely flat with few rolling hills. 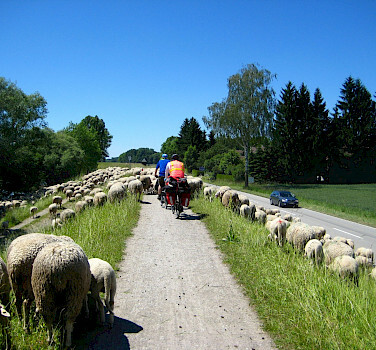 Most of the biking takes place on asphalted and traffic-free paths. There are 3 days of cycling with an average of 32 miles (51 km) each day. 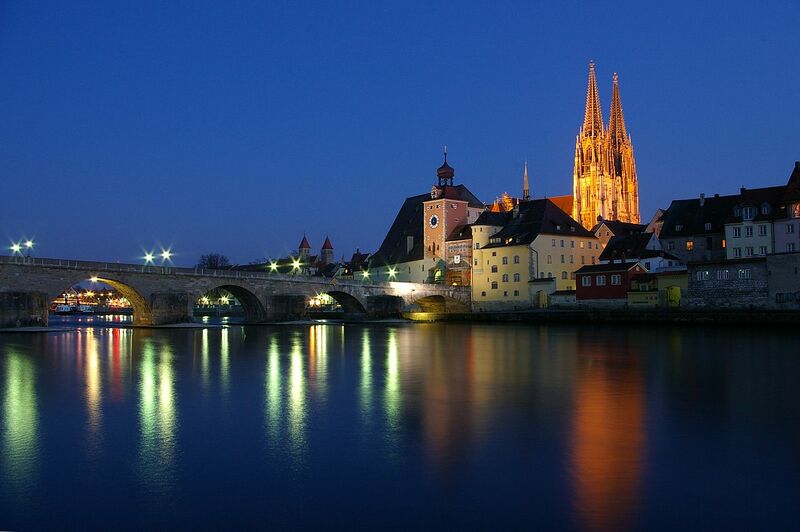 Regensburg is a lovely, romantic town. 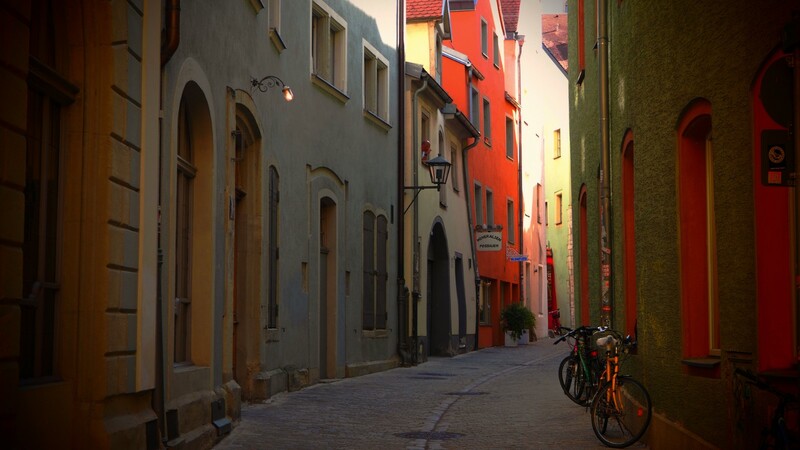 Take your time strolling through the nearly intact medieval city center. 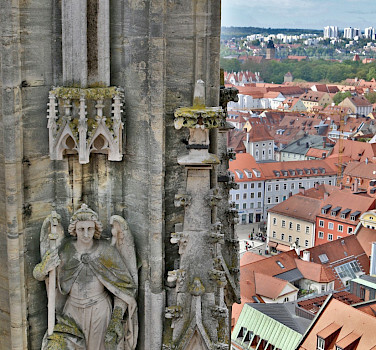 Among the sites to see is the Dom (cathedral), an intriguing example of Gothic architecture. 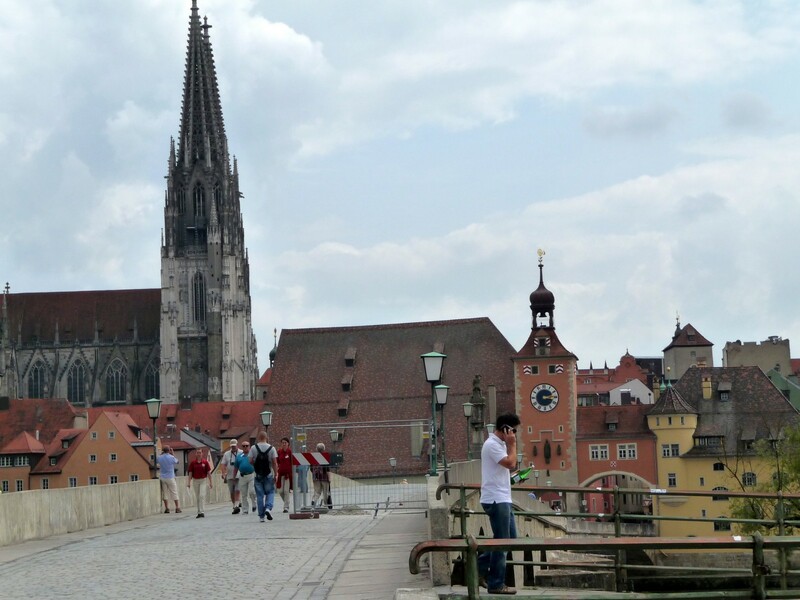 Another highlight is the Stone Bridge crossing the Danube, which dates back to the 12th century! 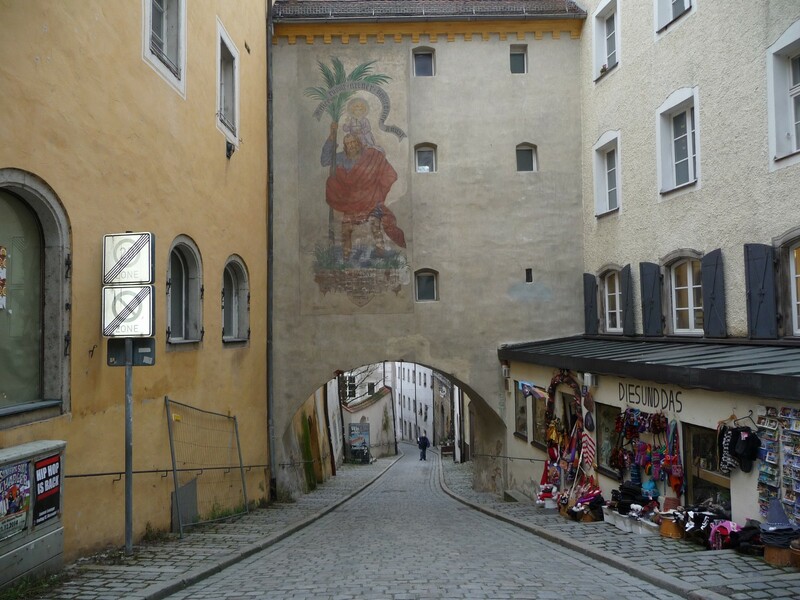 You bike over the 'Nibelungenbrücke' and on to the signed bike path "Tour the Baroque" to Donaustauf where you can see the ruins of a medieval castle towering above the city. The famous Walhalla Temple nearby is also worth seeing. 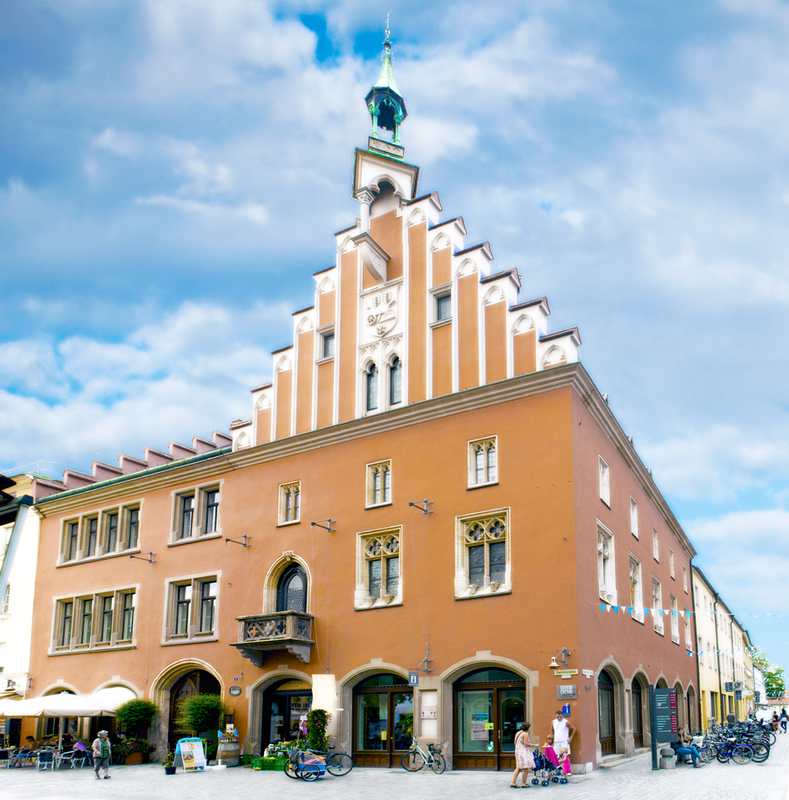 You continue the tour on the banks of the Danube and reach the day's destination, Straubing, which is famous for it's festivals and baroque houses. 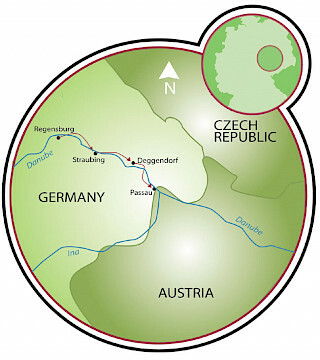 Today your bicycle tour in Germany takes your through the flat Danube Valley via Oberaltaich to Metten. 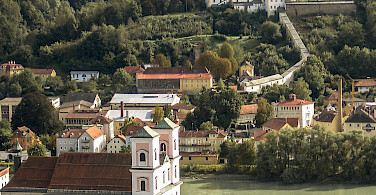 In Metten you can visit the Benedictine monastery and see it's historic church. 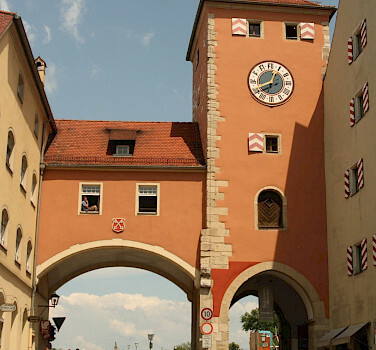 You continue the tour to Deggendorf with its significant old town hall and town squares. Bike again on the "Tour de Baroque" bike path via Niederaltaich Abbey, which is one of the oldest Benedictine monasteries of Bavaria, on to the small village Winzer. 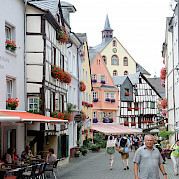 After Osterhofen, we reach Aldersbach. The Cistercian church there is one of the most beautiful churches in Bavaria. 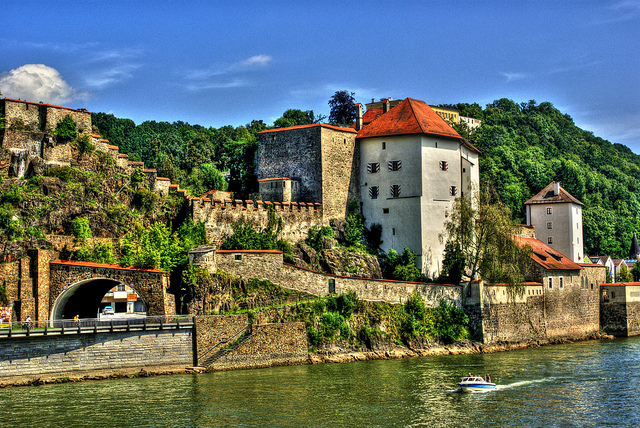 We follow the left Danube bank to the worthwhile site of the hydroelectric power plant, Kachlet. 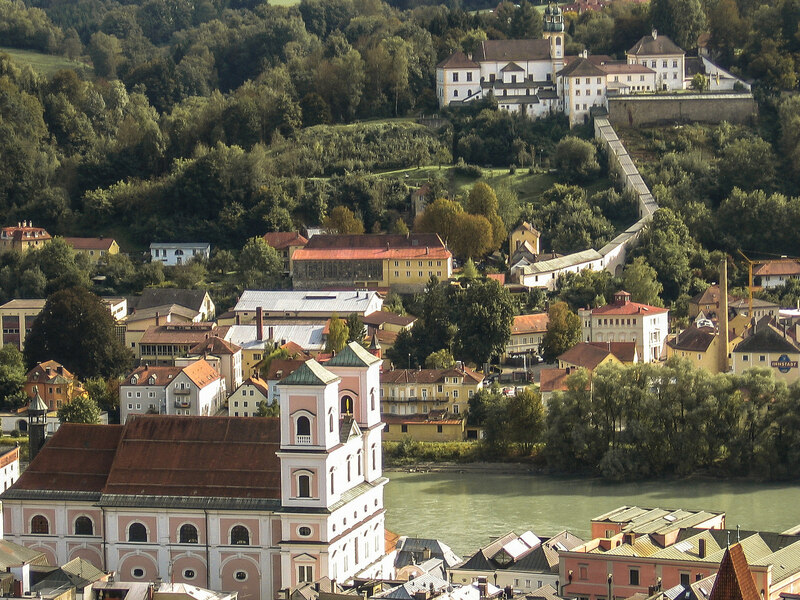 After crossing the Danube we come to the last destination of the tour, the historic baroque city of Passau, "The 3 River City". 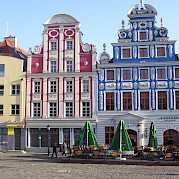 Enjoy this lively port town. 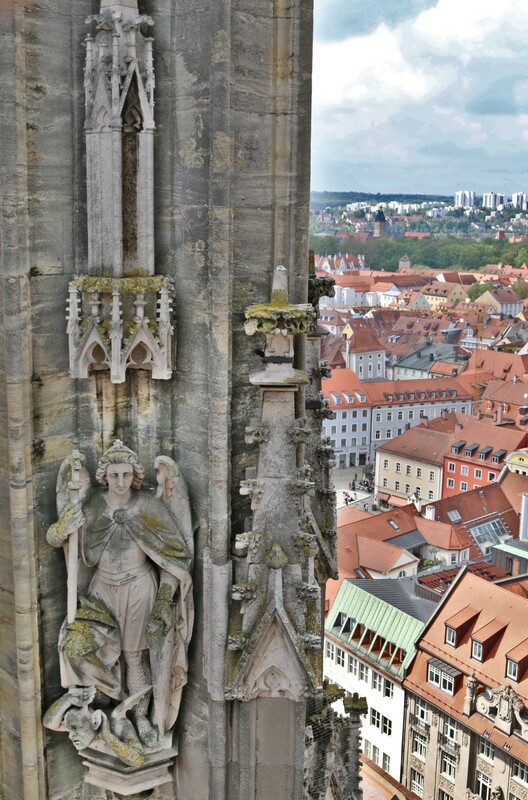 One of the most popular tourist attractions is the St. Stephan's Cathedral, which was home to the long held record of the biggest organ (17,774 pipes) but now holds 2nd place (to an expanded organ in Los Angeles). 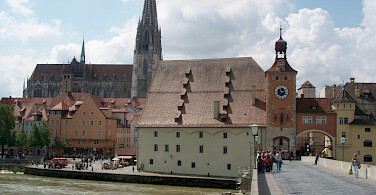 Organ concerts are held daily between May and September. 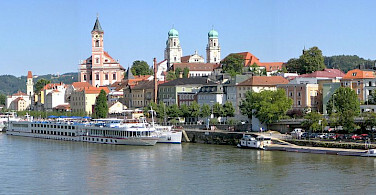 Individual departure from Passau after breakfast, or you can choose to extend your stay in Passau! 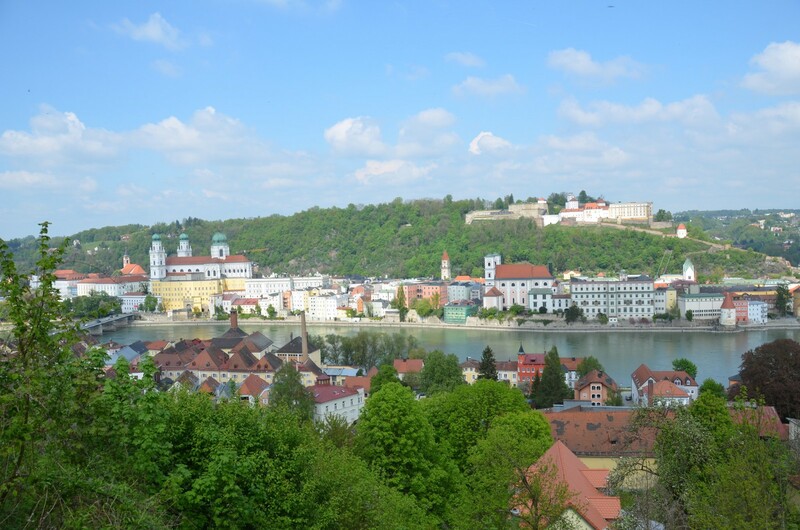 Beautiful scenery, bike path was quite clearly marked as well without having to constantly refer to the map booklet, especially once we got onto the Danube trail. 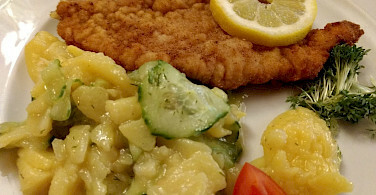 The booklet also had details on where we could find rest stops with food which was very handy. It was a great cycle experience for me and my companion, even though he's an inexperienced cyclist (it's only his 5th time or so on a bike!) we both enjoyed it very much--helps that the route is largely flat, the bike was very comfortable and we came prepared with extra seat padding just in case! 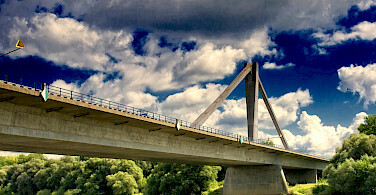 The route also felt very safe, with minimal sections with road traffic. 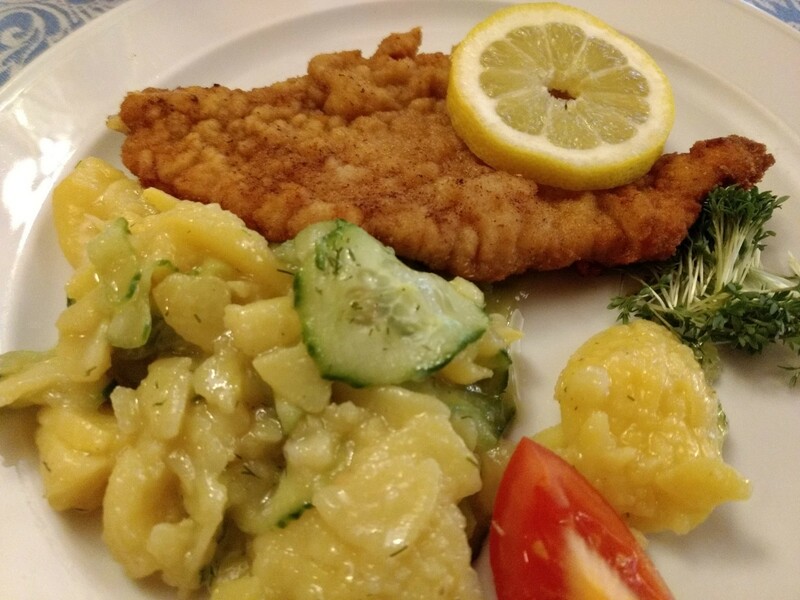 Accommodations were clean, comfortable and near the bike path, however the Deggendorf stop didn't have air-conditioning which I imagine may be a little uncomfortable later in the summer. One especially memorable moment was stopping by Walhalla, perched on a hill overlooking the Danube--incredibly peaceful with the most amazing views. Not only was the bike route scenic, it felt very safe, even for the short periods we were off the bike path. 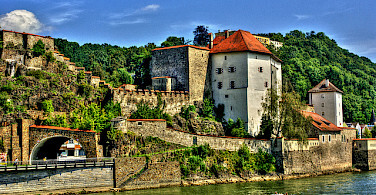 The Regensburg to Passau route was perfect for our group of four adults and four teenagers. 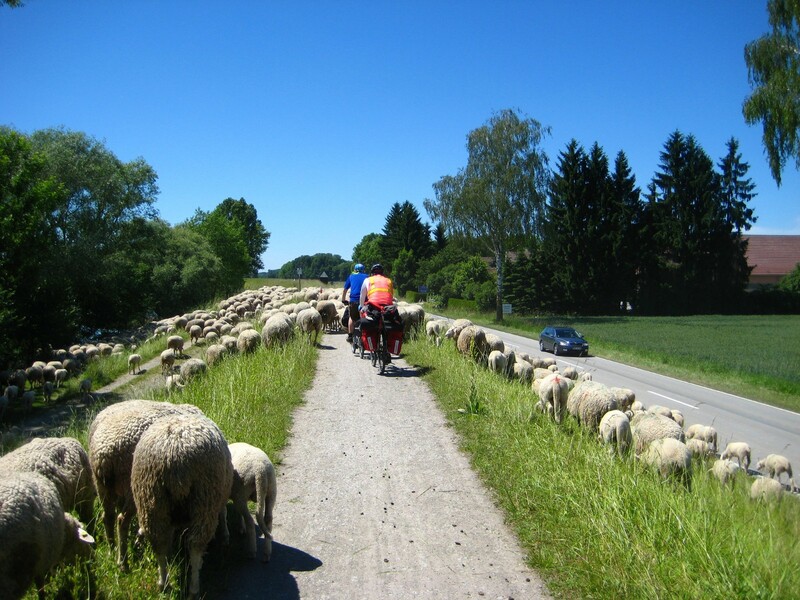 None of us are experienced cyclists so three days of biking on a flat path was a perfect introduction to bicycle touring. We loved touring each of the cities on our trip. 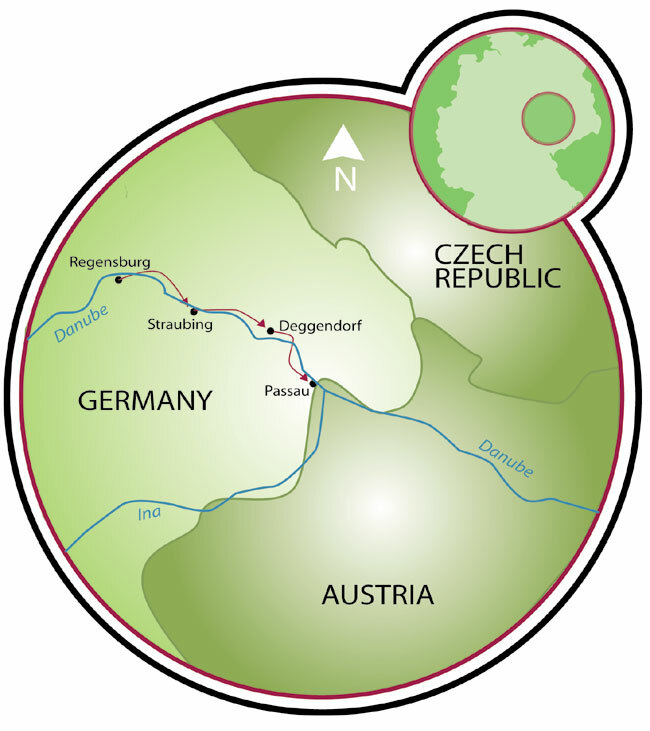 Very well organized, very good map & route descriptions, wonderful scenery and sights, excellent hotels with wonderful breakfasts, no hassle luggage transfer. Operations and logistics were very well organized. Hotels and staff were excellent. Luggage transfer was great. 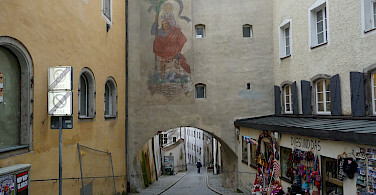 Route descriptions gave very useful information on what to see and do along the way. One hotel was excellent, one was poor and two were OK. For the money paid I would have expected air conditioning as standard. The advertised price of rooms was about half what we paid. I would also have liked to pay in sterling as I found the holiday through a UK search so would have thought this was possible. 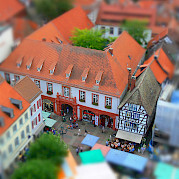 So - nice holiday, somewhat over-priced, let down by some inferior (noisy and very hot) accommodation. 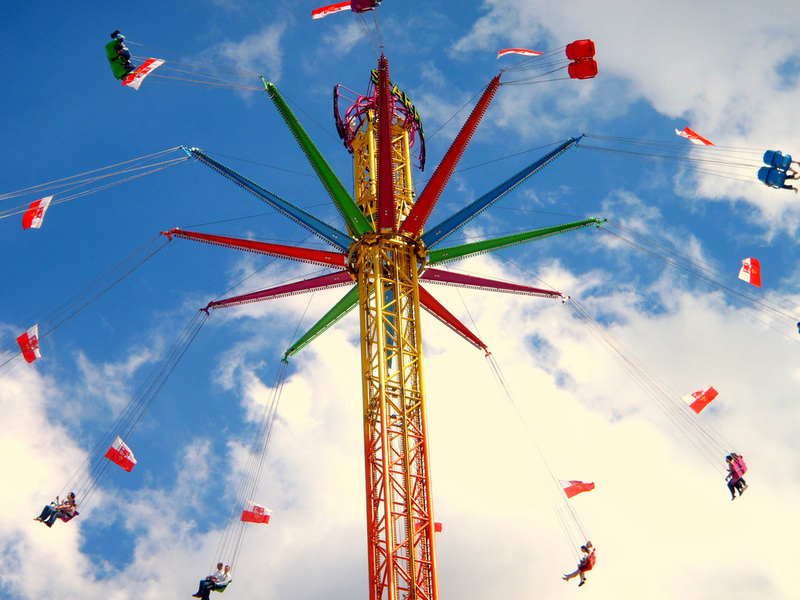 Wonderful trip. Great descriptive guide book. Look forward to another trip soon.